Welcome to Fabulous Web Summit! 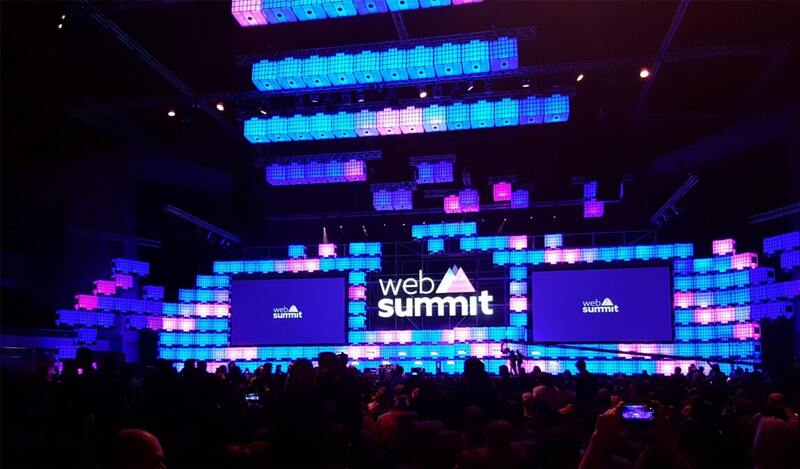 Last week, tech crowd from all over the world gathered for the most important event of the year in Europe – Web Summit. Everybody who cares about disruptive technologies, startups and web-shaped society came these days to Lisbon. Politicians, entrepreneurs, fashion influencers and even Hollywood stars, virtually everyone showed up. Let’s stick to numbers: over 53 000 IT people flooded the streets of the Portuguese capital. In any museum, cafe and just on the street we’ve seen people with branded headbands. Just imagine what it meant in terms of logistics, scheduling, and housing. And Web Summit team did a really great job. Yes, there were lines, WiFi troubles and overcrowded streets, but warm and welcoming Lisbon washed away all those little problems that appeared during the summit. The fancy opening night in MEO Arena gathered more than 15 000 under one roof, and the magic started. The inspiring speeches from the Portuguese Prime Minister Antonio Costa, the former EU president José Manuel Barroso, and an interview with actor Joseph-Gordon Levitt were crowned with the closing words from Paddy Cosgrave receiving a key from Lisbon and the rain of lights and glitters. The rest of the summit was packed with talks, pitches and discovering startups at the enormous exhibition halls & 21 conferences here and there. Here’s where you can actually see how big the event is. For the last ten years, social media remains to be a titbit for numerous young entrepreneurs. No wonder, Web Summit had a whole section packed with new apps, services and platforms created to engage people in sharing various aspects of their lives. And not only people, pets too! Big data has given businesses a window into valuable streams of information from customer purchasing habits to environment monitoring. This created a whole new level of data science and business intelligence that allows you not only to observe but to predict and prevent various virtually anything from fall of stocks to forest fires. It’s hard to tell how many categories of startups were presented at Web Summit, and, unfortunately, we couldn’t name them all. Here’re some awesome solutions in the fields of security, travel, eHealth and even Internet of Things. Well, it’s not only the exhibition where you can find new friends and projects. Redwerk team has also taken part in some meetups, and the most interesting were the Gamification Meetup on the corner of Pink Street. Well, Web Summit’16 in Lisbon was enormous. It seems that even if we had more than 24h hours in a day, there wasn’t any chance our team could see everything interesting that happened at the summit. What also impressed us was a speaker and attendees mix. Big names from the Valley along with investors, media, startups and established companies. One could find literally everything just circling around the exhibition. Overall, Redwerk team has met many cool people creating groundbreaking products and services. Web Summit is definitely a place to come back! Eager to learn about advanced and innovative approaches in tech, Redwerk team was excited to take part in the summit. Extending our expertise in cutting-edge technologies in every possible way, we strive to deliver software solutions with the highest quality. With over 11 years of experience in providing software development services, we took part in diverse projects including e-gov and SaaS solutions, startups and e-commerce projects.